Bellingham Politics and Economics: Do you want to become a Democrat PCO in Whatcom County? 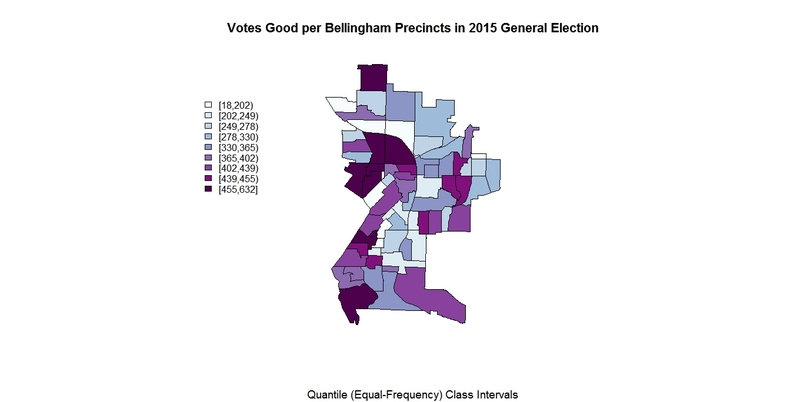 Do you want to become a Democrat PCO in Whatcom County? Click to Enlarge. Link to larger image here. See also "GIS Precinct Based Maps:Ballots Good, Jack and Joy"
We can talk all we want about the revolution, the corruption, the greed, the incompetence, the futility of the two party system. However, the reality of modern political life means working within the community to spread the revolution, to establish trust, to build alliances with many, to turn out the vote, to assure that our votes are counted and to make sure the system doesn't fail our children like it has failed us.  Candidates for PCO must file during Candidate Filing Week. The filing form for PCOs is available on the OSOS website.  Two positions are open in each precinct; one for the Democratic Party and one for the Republican Party.  PCO candidates affiliate with a major political party when filing.  There is no filing fee.  Candidates who file for PCO may also file for one other position on the ballot.  Special 3-day filing periods will not be held for PCO positions.  If, after the last day to withdraw, only one candidate has filed for a party position, that candidate is considered elected immediately and the County Auditor must issue a certificate of election.  Write-in candidates have been eliminated from PCO elections. A candidate cannot file as a declared write-in.  The term of office for PCO is two years. There are no short term or unexpired term elections conducted for this office.